Last month we appealed for information after a teenager had his ear bitten during an assault in Portsmouth. 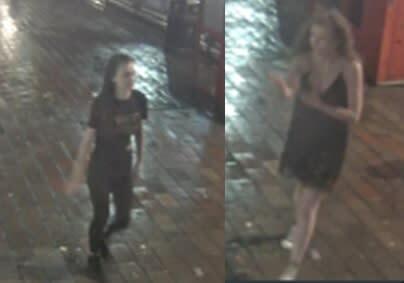 We are now releasing CCTV images of two young women we would like to identify and speak to in relation to this incident. The circumstances are that an 18-year-old man suffered bite injuries to his ear during an assault outside Ali’s Kebabs on Commercial Road, at around 2.10am on 27 January. Three men, aged 19, 19, and 21, were arrested on suspicion of causing grievous bodily harm with intent. They were released from custody but remain under investigation. If you know the two people pictured then please call us on 101 quoting 44190032289.